The objective of the “A” series is to apply utility and simplify user experience by refining the ordinary experience of people. A-table is a narrow bar height table that can be engaged from either direction. 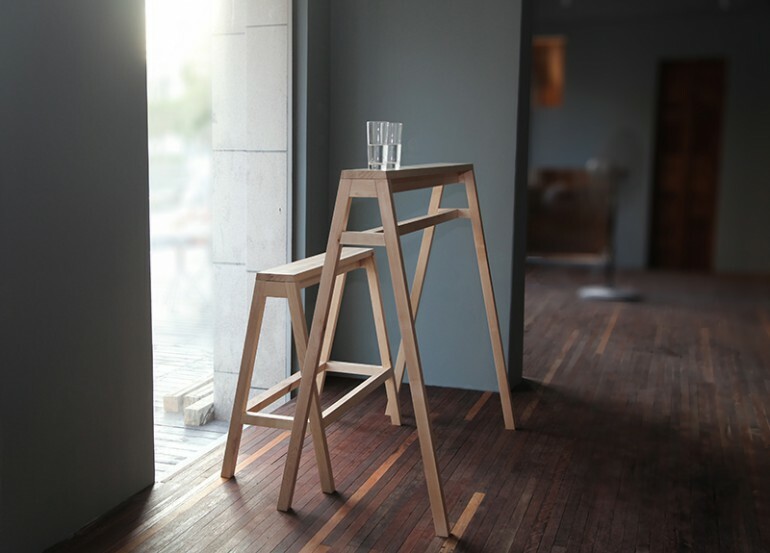 A-bench is a bar stool height long bench that keeps those seated at the same eye level as those standing. They can be used together or separate to create a “field” of social activity in public spaces.